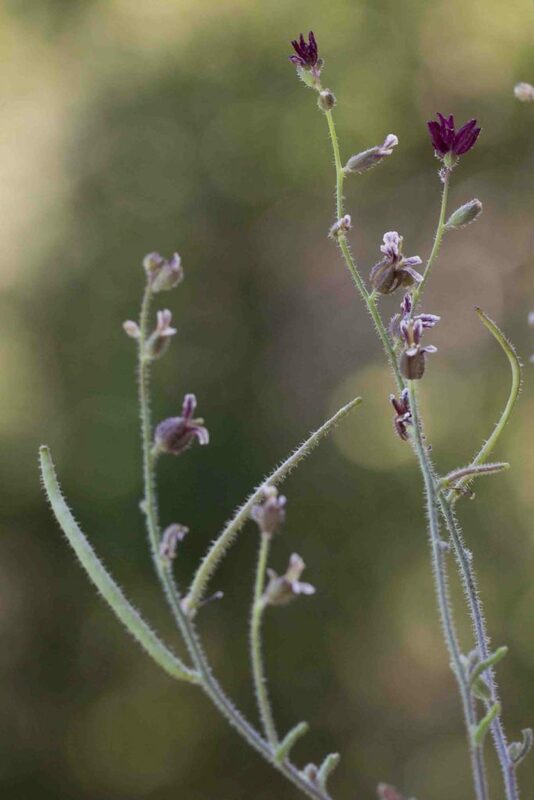 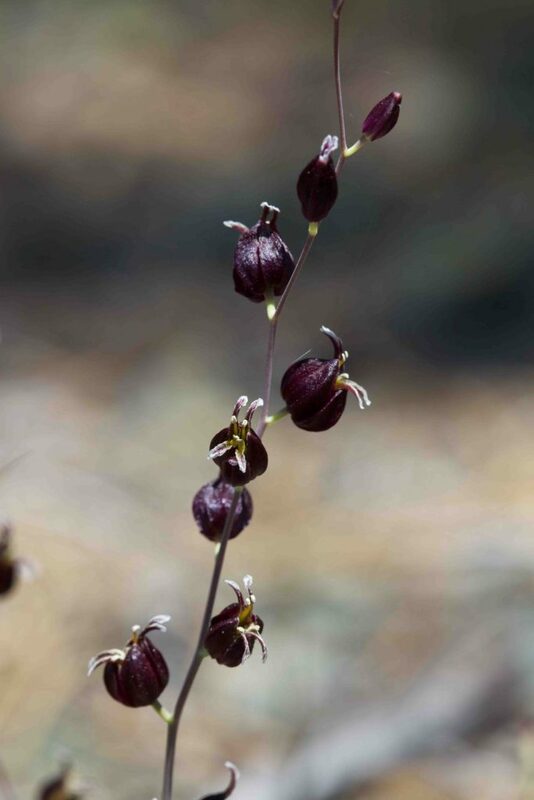 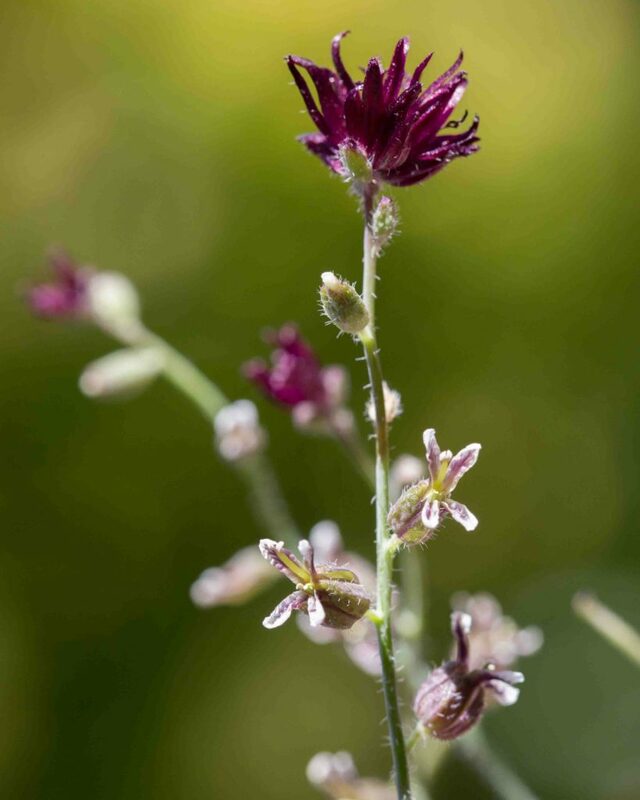 One of four species of jewelflower found in Monterey County, this has an urn-shaped calyx varying from dark purple to deep maroon (almost back) with petals that are white to purple, arranged in two pairs , upper and lower, rather than the conventional cruciform shape found in most members of this family. 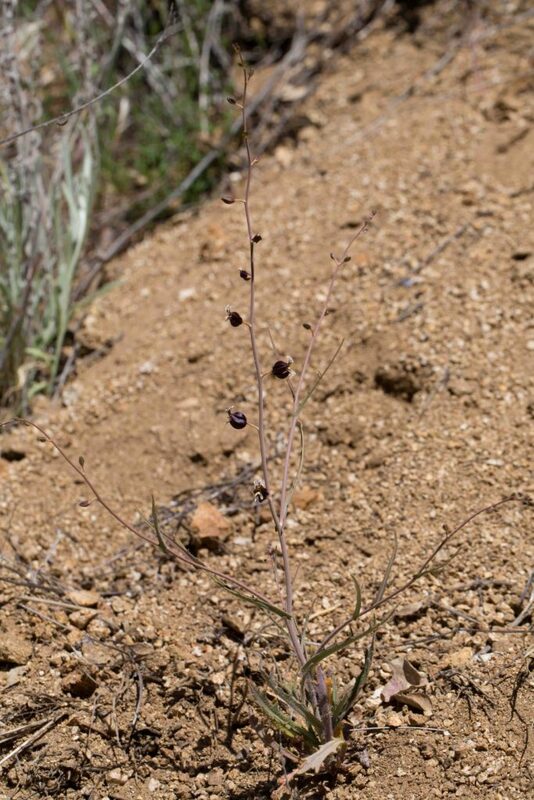 Cauline leaves are generally linear to lanceolate and the whole plant is glabrous. 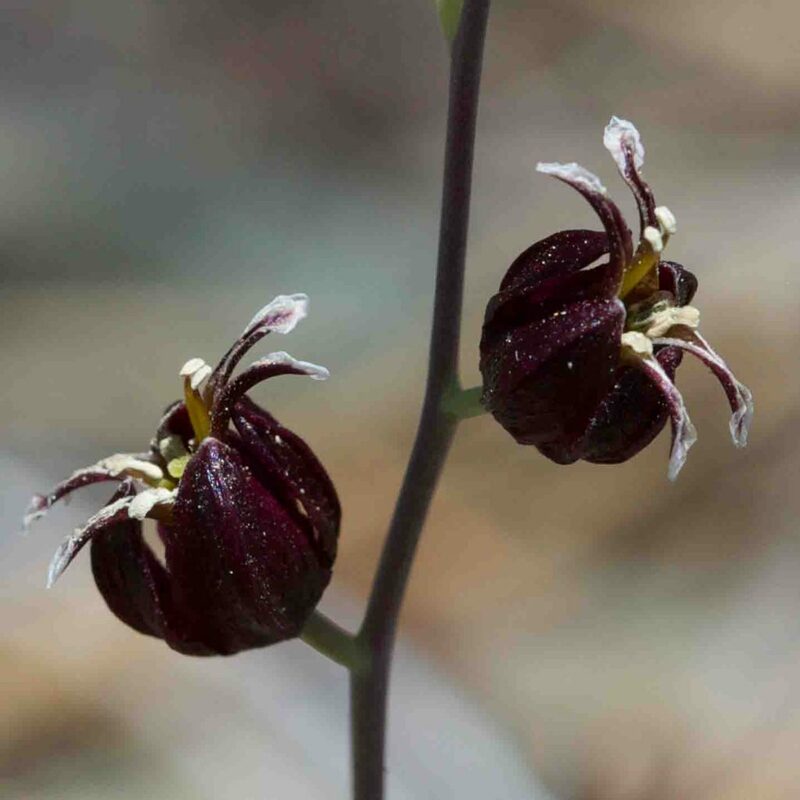 An uncommon jewelflower, immediately recognizable by its sterile terminal flowers which form a dark purple tuft of elongated sepals. 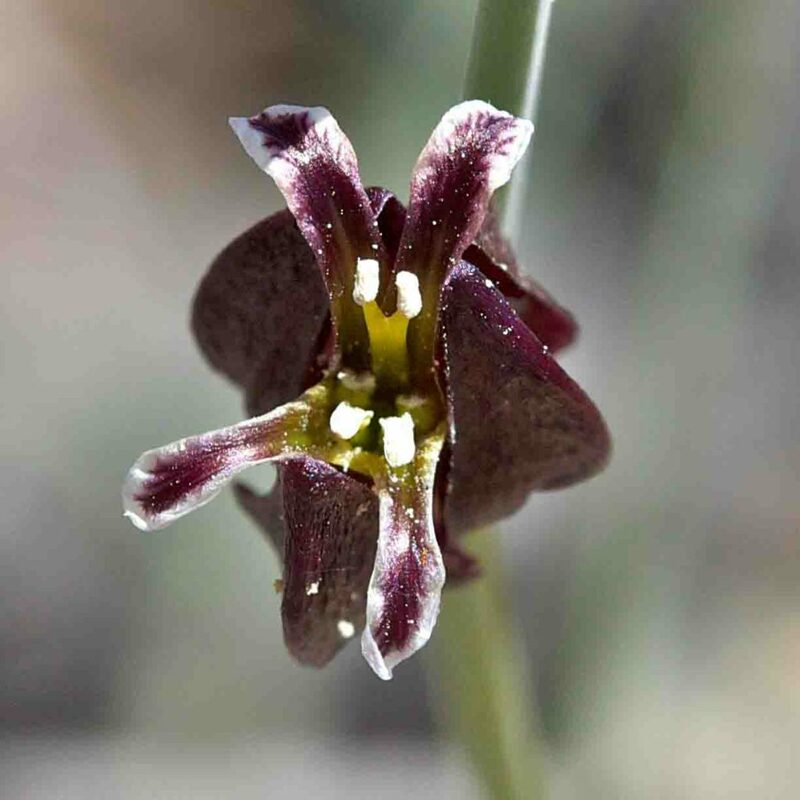 The other, fertile flowers are deep reddish-purple. 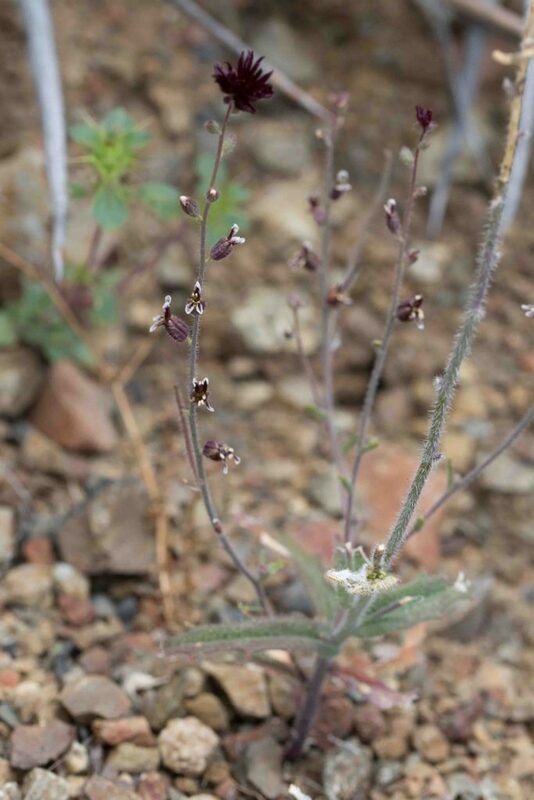 The whole plant is bristly. 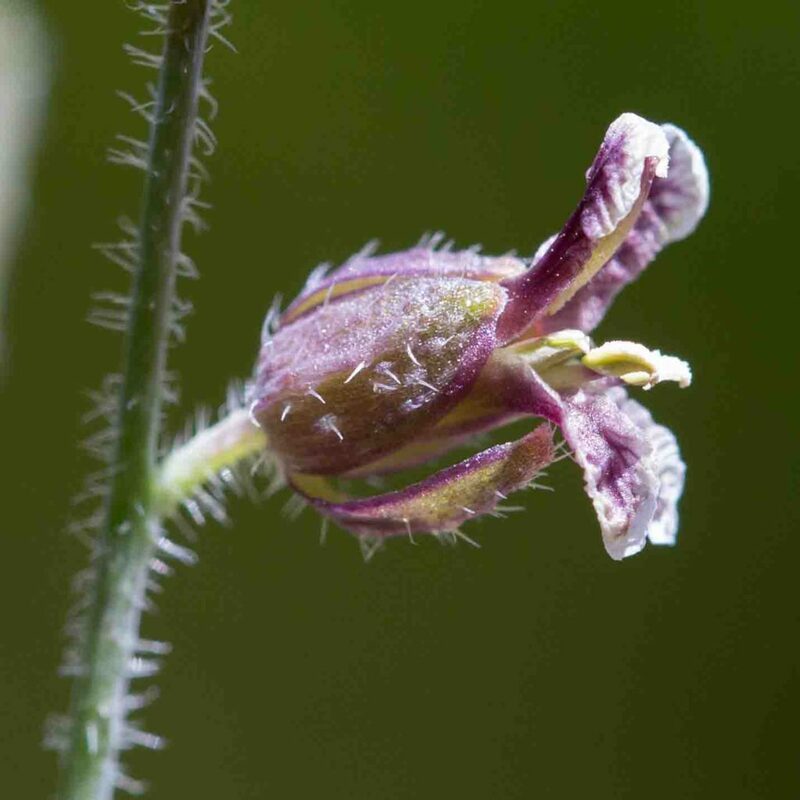 Fruits are cylindric siliques, ascending or reflexed and remarkably long (up to 11 cm) given the size of the flowers.